This is a Fragment. It is dated 16th century. 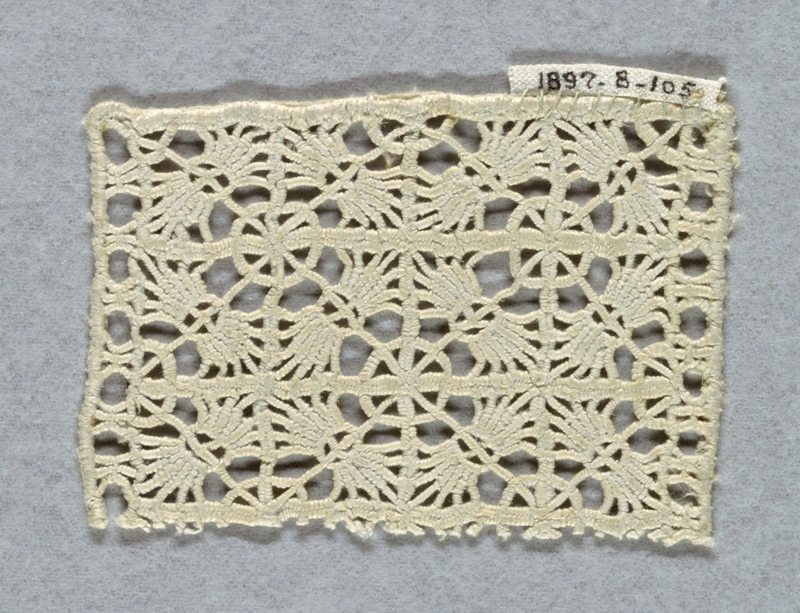 Its medium is linen and its technique is grid of withdrawn element work with needle lace, reticella style. It is a part of the Textiles department. This object was donated by Thomas Snell.